The experience of losing your hair can be both embarrassing and frustrating. Given that a full head of hair is viewed as a sign of youth and vitality, women and men alike seek permanent and efficient treatments for preventing balding or stabilising their hair loss. 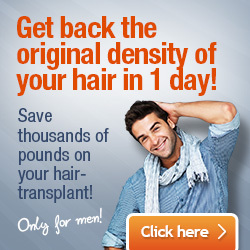 Some treatments may work, others however don’t live up to the challenge of regenerating hair follicles. Stem cell hair transplant is a promising new technology that uses adult stem cells to treat hair loss and stimulate hair growth. Stem cell hair transplant is known as the most advanced treatment for hair loss, and it involves the harvesting of autologous stem cells from fat and transplanting these back into the patient’s scalp. The harvesting of stem cells is a safe procedure and it is done under local anaesthetic. The procedure was first tested on mice and it was discovered that the action of stem cells can restore hair growth. The initial stigma of using embryonic stem cells has decreased since the discovery that adult stem cells can be found in our bone marrow and fat tissue or adipose as well. In fat tissue, these cells are abundant in quantities that are even 500 times higher than in bone marrow. Harvesting them from adipose tissue is also the safest option. Following the harvesting of stem cells, the hair transplant is carried out by combing fat cells with a special solution or with PRP (Platelet-Rich Plasma) and injecting this solution into the scalp of the patient. This method stimulates hair growth and stabilises further hair loss. Compared to using the PRP treatment alone, this combination has more benefits in that it replaces the lost layer of subcutaneous fat in the scalp leading to the thriving of hair follicles. Adipose derived stem cells also have the capability to repair all sorts of human tissue, not only hair follicles. By forming new cells of mesenchymal origin, stem cells have the capability to repair human tissue such as bone, ligaments, tendons, connective tissue, cartilage, nerve, muscle, blood vessels, fat and even certain internal organs. The first person in the United Kingdom to undergo stem cell hair transplant was Rodrigo Alves, also known as the “real-life Ken doll”. Alves had his hair stem cell transplant in a hair clinic in Miami. 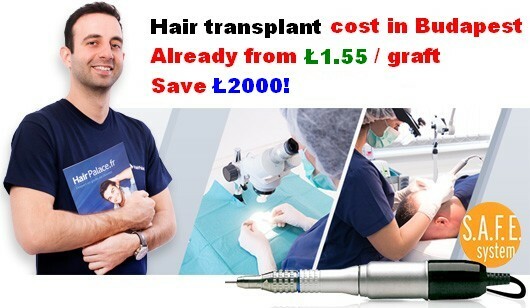 Although still a novel procedure, hair transplant using stem cells has become more popular and available in more hair clinics around the world. For example, in the UK, a similar procedure is performed at the Hair Science Institute, where the patented HASCI method is used. The HASCI method uses already existing stem cells in the hair follicles, and it is marketed as a painless and non-scarring procedure that produces results in both the donor area and the recipient area. Stem cell hair transplant can also be used with great success in burn victims. With traditional transplant methods healing was a big problem as burn scars cause poor blood circulation, which interfere with proper healing. As stem cells are injected into the scalp, stem cell hair transplant does not produce any wounds that need healing, thus, a bigger success rate can be achieved. With more research underway in the field of stem cell hair transplant, it is safe to say that we are very close to zeroing in on the ultimate cure for hair loss and balding.